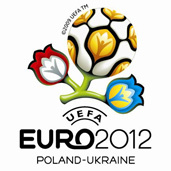 Last week UEFA, the governing soccer body in Europe, finally announced the four Polish cities that will host Euro 2012 championship games. Of the six candidate cities named two years ago, Warsaw, Poznań, Wrocław and Gdańsk were chosen. That left authorities and residents in Kraków and Chorzów, which were selected as alternate cities when Poland originally placed its bid for Euro 2012, extremely disappointed. 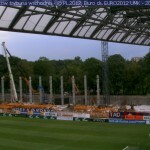 The rebuilt of the Public Stadium in Cracow is slightly different from the rest of the facilities prepared for Euro 2012. The rebuilt of the stadium whose host is commonly the Cracovian club Vistula ,began at the end of 2004. Since then, step by step the owner of the stadium successively opened the bidding for destroying the old ones and raising new tribunes. Each of these changes in the exterior of the stadium were forced by getting through a bureaucratic tournament , because all the works required separate bidding. Additionally the project of the stadium, which initially was planned for 25 thousand people, was changed several times. 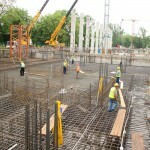 Enlargement of the the stadium and change of the concept of the construction were crucial to the delays in construction of the arena. Last but not least, the raising stadium under the name of Henryk Rayman in the first quarter of the present year saw the last bidding for construction of the last two-storey tribune. 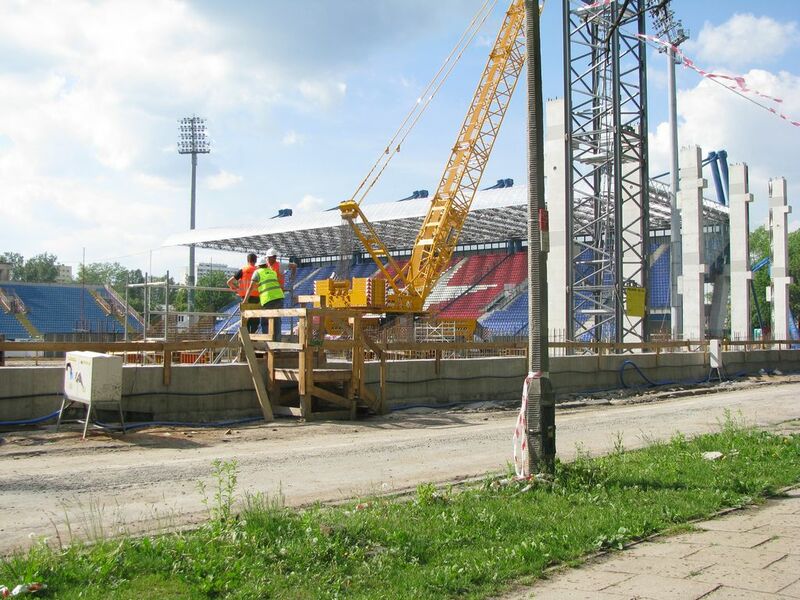 From the beginning of 2009 when the Cracovian officials worked on the successful finish of the bidding procedure, the construction works of one of the tribunes were already in progress. 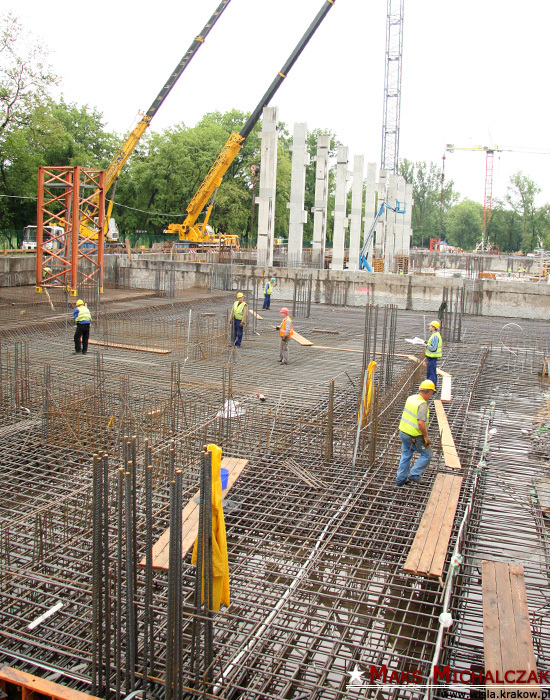 For over 3 months the workers had been taking out the ground under the old tribune to the depth of 6-7 meters, poured skim concrete over it and covered with a thick reinforcement net weighting nearly 250 tons. In the nearest few days concrete will be poured on the bottom board of the underground part of the stadium. This is supposed to make the stadium raising up high. In a short time there will begin the dismantling of the last old tribune and the club building which will be deconstructed during the holidays . 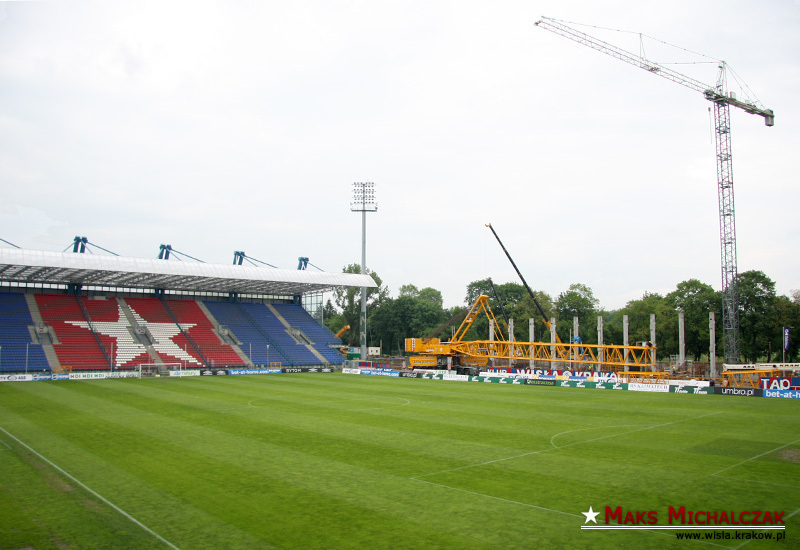 Because of the range of the construction works (lack of two tribunes and lowering the lawn) it seems that players from Wisla club will spend the new season away from the Reymont stadium. Finally, Polimex-Mostostal- the winner of the two last biddings, declared that it will give the whole stadium to use in June next year. 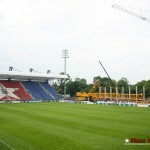 It means that the Cracovian stadium –according to the schedule it will be the first one prepared among the Polish arenas prepared for Euro 2012. 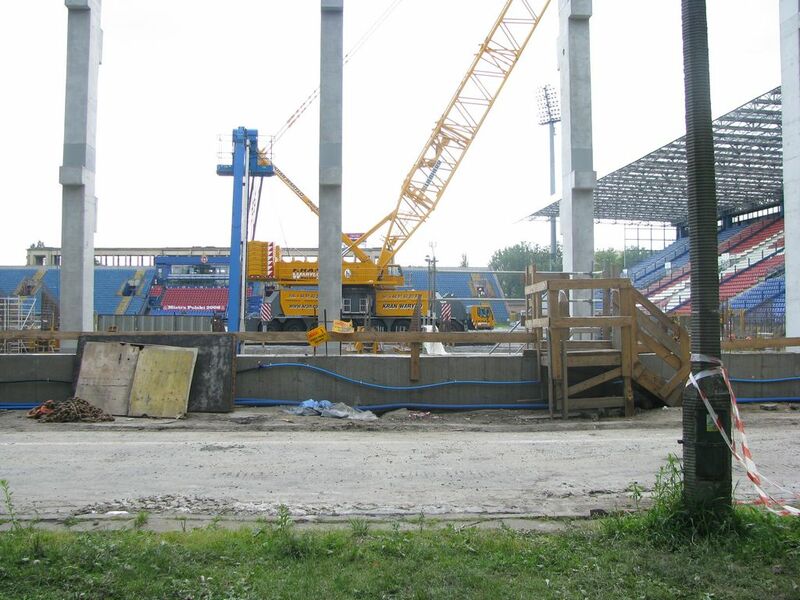 The events with the rebuilding of the Public Stadium in Poznan resemble changes of the Cracovian Stadium. The project of the building in Poznan also changed several times. Enlarging the capacity of the stadium. Fitting a bunker that has been dig out. And the problem with a high level of ground water, caused that the object lost its primary, coherent character. 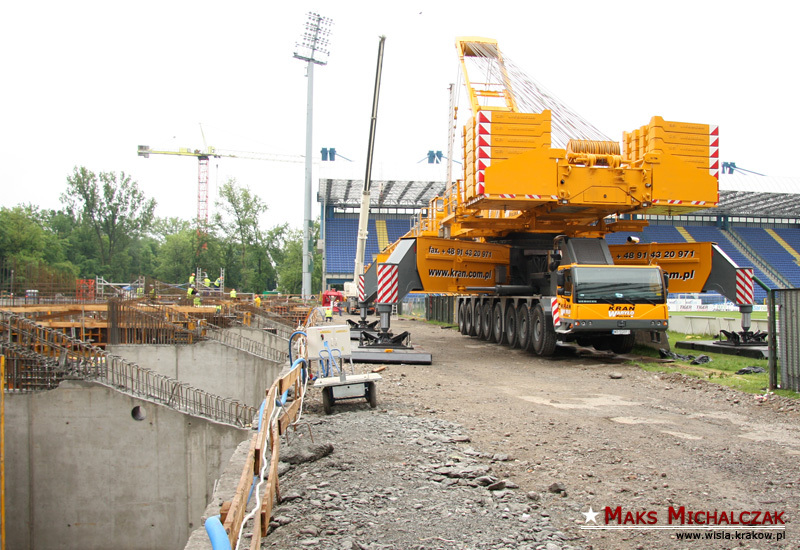 The last change in the project of the rising stadium was made when the construction of the side tribunes was in progress At the beginning of the present year. The changes connected with the high level of the ground water caused the underground part of the first tribune raise for over one meter. Additionally the underground parking will ‘benefit’ from a second entrance. 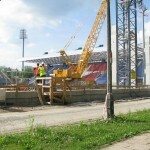 The remaining construction works of the stadium are carried on without any obstacles. 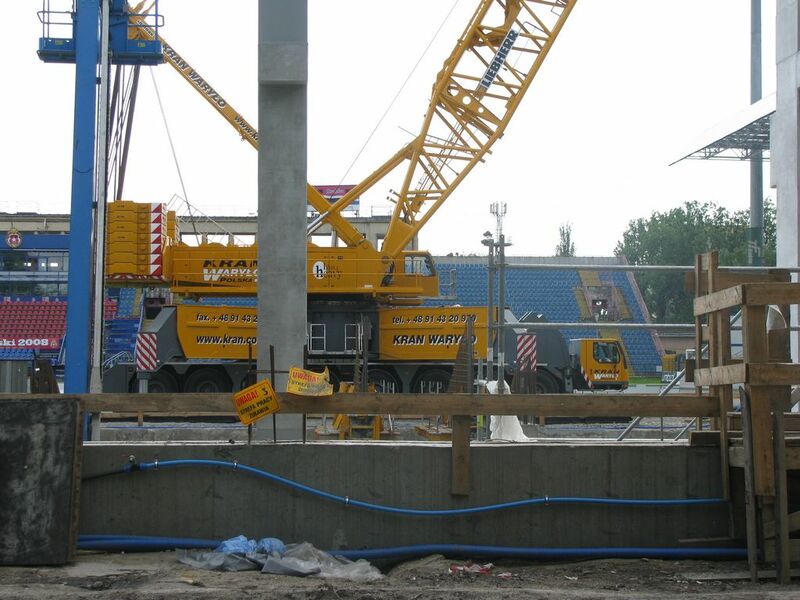 What is more the Euro 2012 partnership responsible for the construction of the Public Stadium, reports that the works are preceding the schedule. At present we can observe the progress in the construction of the three tribunes. To the ‘second’ tribune put into service in 2008 , pillars on which the roof will be set were annexed. 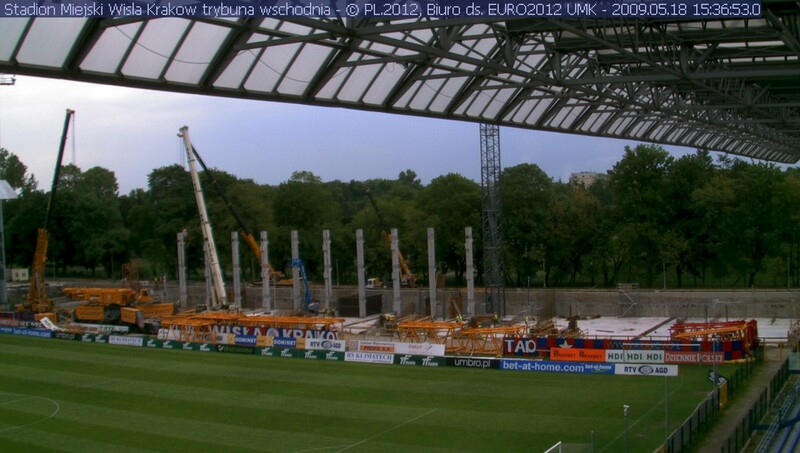 Simultaneously the side tribunes are being raised. The construction of the third tribune reached the level of the second floor, whereas the mentioned earlier ‘number one’ after building the underground part begins to ‘see the light’. Due to the rapid progress, there is a chance that the construction of the tribunes will be completed till October/November of this year. Thanks to this , the works on the footing and completing the three tribunes can be carried out much earlier than planned which will allow the players of ‘Kolejorz’ club for an earlier comeback on their own sports fields. If everything succeeds, it will be Poznan – the capital of Wielkopolska region – and not Cracov which will be the first one to give the stadium to use.